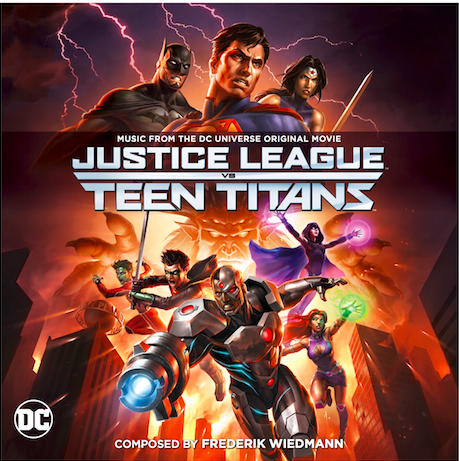 Composer Frederik Wiedmann is announcing the release of a pair of soundtracks,Warner Brothers Animation and DC Entertainment present ‘Justice league VS. Teen Titans‘ and ‘Batman: Bad Blood‘. The two will be available on a double-album soundtrack CD from La-La Land Records August 16, 2016. It’s just tomorrow people! As a bonus the first 100 people that purchase the album from La-La Land Records will receive an autographed copy by Weidmann. The two projects were the most satisfying experiences as a composer, he was given creative freedom yet, worked closely with the producer to craft his own unique responses to the films. He was able to combine a traditional orchestral sound, but mixed up with a nice blend of heavy beats, fat synths and cool grooves that kept it from feeling monotonous. 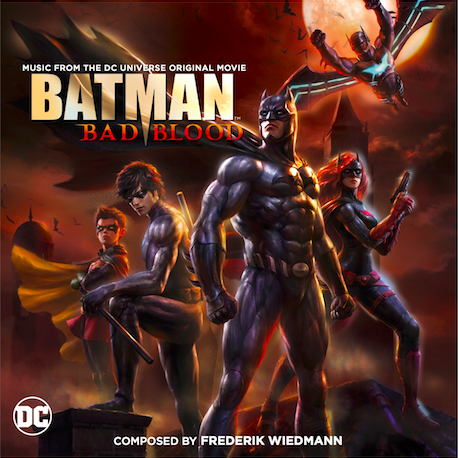 This isn’t Wiedmann’s first collaboration with the DC Universe, he worked on quite a few projects, ‘Green Lantern – The Animated Series‘ then later with ‘Justice League – Gods and Monsters‘. His unique sound can also be heard on ‘Justice league – The Flashpoint Paradox‘, ‘Son of Batman‘, ‘Justice League – Throne of Atlantis‘ and The WB’s latest Batman series ‘Beware The Batman‘. This entry was posted on Monday, August 15th, 2016 at 1:26 pm	and is filed under Comics, Film, Music, News, Television. You can follow any responses to this entry through the RSS 2.0 feed. You can skip to the end and leave a response. Pinging is currently not allowed. « Rob Zombie Teams Up With Fathom Events For ’31’ One Night Only!! !